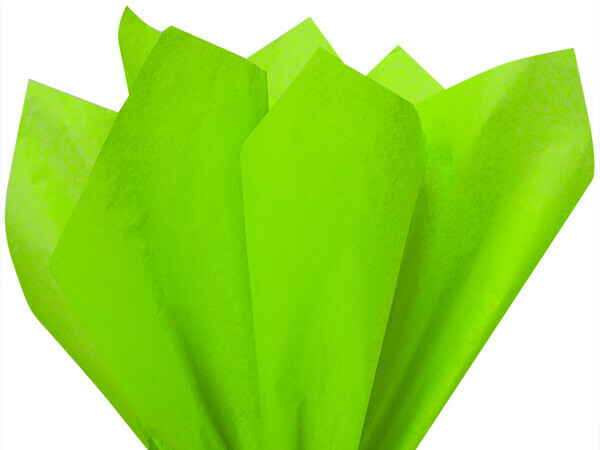 Bright Lime Green Color Tissue contains 480 sheets measuring 20"x30", which are flat. Color Flo Tissue Paper is made from 100% Post Industrial Recycled Fibers. Green Way ® Eco-Friendly Packaging. Made in the USA.